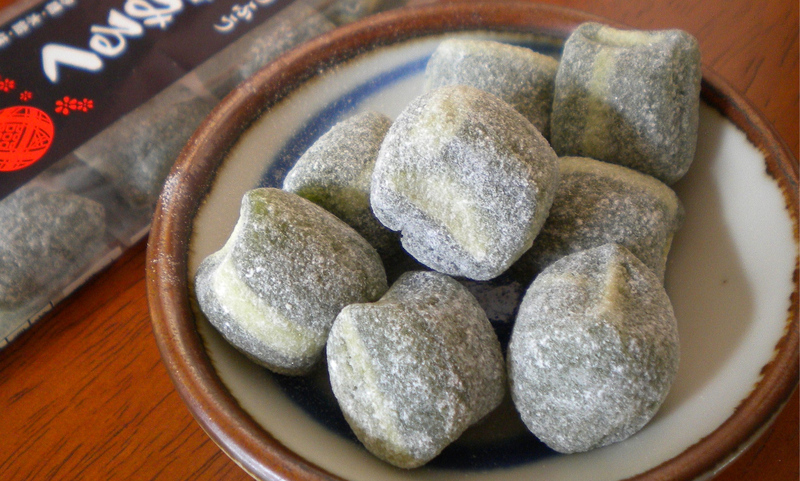 One of our wonderful growers in Kumamoto included these green tea sweets with his latest shipment of green tea. I am saddened to report, however, that by the time I posted this blog, these ame [in Japanese] were already gone. Perhaps next time I will give them away through some sort of contest. Although that will take a lot of willpower, you understand. With green tea being so popular these days, a trip to your nearest Asian market should reveal something like this, if not the exact same brand. There are plenty of delicious sweets out there — far too many, if you know what I mean. Green tea health benefits — research galore! Top Leaf scores 10 out of 10 from Teaviews!